Containing selenite fragments, each custom piece of art uniquely reflects light creating an inviting and unique look into the artist inspiration. 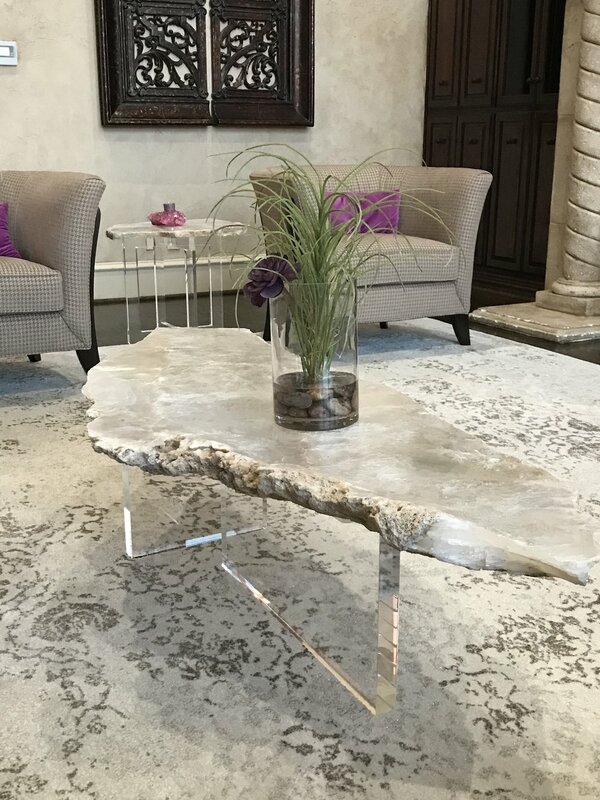 Custom furnishings made with selenite. Stunning in their beauty, they add a unique element of style to any home. “The selenite contemporary abstract painting was the perfect addition to my newly remodeled home. Working with Terri was an unparalleled excellent experience. Thank you for making our home spectacular!” K.I.